What does it take to be healthy? – Nanova Tech Inc.
Getting healthy isn't just about knowing all the mechanics of nutrition and exercise. There is a lot more to the equation than what you learn in a classroom or text book. Explore with us, as we take you on a journey with our blogs on what it really take to be healthy. Take a moment and watch our video to the end. Now that you are a little motivated to get healthy and learn more please read our blogs and follow us to keep up to date on good health. Good health, at the core, is less a destination than the life-enhancing journey. But if there is any clear path toward the promised land of the healthy living, it begins not at the gym or diet plan, but on the solid ground of our own goals and ambitions. So, you’ve committed to adopt a healthy lifestyle. You’ve decided to commit yourself to an exercise routine, eat fresh fruits & vegetables and other nutritious foods and to take supplements daily. And you have decided to stop drinking soda, eating candy and staying up late watching movies, well then contratulations! So here are some good points to ponder as you move forward. Get more vegetables and fruits daily. (I prefer organic produce.) One easy way to achieve this is to prepare a smoothie or get a juicer. You can combine a world of fruits and vegetables this way. Lunch should include a greens, vegetables and a piece of organic fruit. Supper should incorporate vegetables known to promote health and reduce cancer risk such as the cruciferous vegetables (broccoli, brussel sprouts, cauliflower). Add Kale and Spinach for good measure. Spices are important such as turmeric, ginger, cumin, garlic, and sage all having established medical benefits. Make fitness a priority #1. Without question we have become a sedentary society and physicians are not immune. We often sit for prolonged times at work and conferences and work long hours. It is important however to make fitness a priority. Usually early mornings are the best time, as the day gets busy. A home gym, if available, is a great option but I find a nearby fitness center with group classes motivating to get up early and see workout friends. A minimum workout of 30 minutes, 3 to 5 days a week is important. This should rotate cardio training, weight training, and flexibility such as pilates or yoga. Stand as much as possible. Recent studies show chair time is life shortening. Standing and treadmill desks, like the one I use at home, help promote movement. Exercise can be broken into two sessions such as 20 minutes in the morning and 30 minutes at lunch time with the same benefit as if done all at once. Perhaps the hardest aspect of good health is achieving at least 6 and preferably 8 hours of uninterrupted sleep at night. 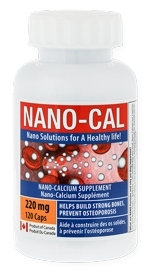 Read our blog on sleep and the health benefits of calcium to learn more. The modern American diet is calorie rich and nutrition poor. Much of this is processed foods and inadequate vegetables and fruits. Even for those choosing diets higher in nutrition dense foods such as vegetables and whole grains, the nutrients in soils in modern farming have dropped greatly and we are largely a country of overfed and undernourished people. Insist on natural based supplements. Calcium is arguably the most important nutrient in the body with approximately 99% stored within bones and teeth. Calcium is essential for many of the body's functions and dietary intake of calcium should provide all the body’s daily requirements. However, if intake is insufficient over a prolonged period of time this can lead to bone thinning, as calcium is lost from the stores within the bones, and an increased risk of fractures and osteoporosis. So where can I get the best calcium supplement on the market today? What a great question… go to shop.nanovatechinc.com and get started today.